If you have an iPhone, you should know what type of iPhone apps you have to use. Always use best apps for iPhone because good apps make you phone even better, so if you are finding to pick up best apps for your iPhone from app store, it is the right place. As time passes, people are changing themselves in the same way ( according to their desires ). First of all, when there weren't android phones, everyone wishes to have an android phone but now the trend of iPhone is going on, people are starting to use iPhones. Today who don't want to have an iPhone, I think that it is a desire of everybody to have iPhones particularly in India. So more people are using iPhones today, but the best way to use your iPhone is that what type of apps you installed in your iPhone because having iPhone is a common thing now, but how to use it, it matters. So generally we use all the apps which are already given in the iPhone but here I have discussed about some apps which will prove to be the good apps for your iPhone. This attractive app is one of the best apps for iPhone users. Actually when you buy a smartphone, you want it to look more attractive so you change wallpapers using existing wallpapers in your iPhone, but it never gives more attractive look to your iPhone because of no more designed wallpapers. Now no need to worry, here I have an app 'Vellum' for your iPhone. It's a really cool app for amazing wallpapers. It gives different types of wallpapers to look your smartphone stunning. So if you have an iPhone, install this app in your iPhone to give a glorious look to your phone's interface by using high quality wallpapers. Set different stunning wallpapers from this wallpaper app. Everyone knows iPhone is already secure in itself, but when you do a lot of online works, it's a compulsory thing to create many accounts and it confuses to remember passwords, so here is very cool application to make your task easy. Its name is 1Password. 1Password is a very helpful and one of the top iPhone apps to manage your all the passwords which are used to secure different types of gmail accounts. Using this app easily you can remember all passwords for your email and just in one click log in your ambitious account that you want to use. Secure everything that is necessary for your business using this gmail security app. This app is also available on google play store for android phones. If you are a cooking lover, so this cooking app is perfect for your iPhone because it is not only useful but also a good app for iPhone users. After installing this app you will be able to learn all your favorite cookings in your iPhone. This app helps to prepare more than 15000 recipes and easily you can find your favorite recipe to learn how to cook that and all the process to prepare. It is free to download but you will have to access to use its features. It will be the best recipe app for your iPhone. We normally use default email app it helps to read all types emails like promotion, study and much more where you logged in actually. There is a problem of default app is that its all the emails merge itself, so it is a little bit difficult to find them individually but here is an email app ( spark email ) which is really very useful to find individual emails. Spark email is an free email managing app. Its interface is very easy to use and It splits all the emails in category wise. Although you can take its interface into full view but for your comfort you should enjoy its individual features like Pin emails, Notifications emails, Important emails and much more. It is the best email management app. Spotify is a tip top music app for iPhone users and also it can be installed in android phones. Spotify is actually music app. Here you can listen all types of songs like new, old and also artist wise and shuffle. You can get here free music of any track or album. Easily be able to create your own playlists and share them. So if you have an iPhone, this app will be the best app for hearing all types music. It is a free music player for iPhone and android users too. RingGo is a parking app. Whenever you go for walk with your wheeler, it becomes very difficult to find a parking place but if you have an app name is RingGo, you need not to worry to park your wheeler. When you search on its map, It suggest you more locations to park near you. Using this app easily find the place where you want to park and also pay quickly. It is very necessary and best parking app for travelling. It is also used by android users because of best android app ever. Lifesum is a fitness app. If you don't control on your eating, I say it will be the best app for you. It plans everything related to your diet, weight, calorie and much more. It has a food diary for tracking your diet which suit better for you at all. It can provide food planning, what type of nutrition is necessary. Only select a goal it will automatically instruct you to gain essential amount of calories, protein and also a great meal planning according to your goal. It is also called best android application and iPhone app too. It is one of the best social media apps for iPhone users and android users too. It is the best way to be with your friends in live video chat. It is group video chat app to converse to your friends. Talk to the people who are liked most and be connect with friends of friends too. You can also invite a friend with whom you want to talk. Suppose that you want to talk to anyone but he is not online, you can easily send a face mail to inform his friend, So for video chatting it will be the best social media app for you. UNiDAYS is a student app to give them discounts with the great codes. UNiDAYS saves your money from many brands like Nike, Apple and more. Brands also boost their discounts to give bigger savings. If you use it at school, college or university time, you will be able to get a special student discount that saves your enough money. You can get discount in all the categories like music, technology, fashion and more. So I will suggest you to shop anything from here. If you really want to learn at home workouts, read this article for daily yoga or free yoga apps ( fitness apps ). The word 'Yoga' was never so popular as it is today. Before sometimes people didn't give much importance to Yoga. As the time passes, we all are giving importance to yoga. If we talk about old times, only a few people know about yoga but today a huge number of people joining the yoga. Today, there are many yoga gurus who teach yoga but also there are some people who don't have time to learn yoga from any guru. As we are moving forward, we are going with mental work and forgetting the physical work, so it is very important to do physical work because Keeping the mind healthy is as necessary as the body. Some people do yoga everyday but some are untouched by the absence of time but now don't worry for it because I am going to tell you that you can enjoy the full of yoga even sitting at home. Only you have to take a little use to your mobile phome because I'll tell about some apps that will prove to be good exercise apps for you. Daily yoga is a complete package of multiple yoga classes and I think it is the best yoga app. It includes different types of yoga programs related to digestion, breath, back, buttock, flexibility, quick stress relief, middle split challange, fat burner and much more. It has trial and pro both versions of classes. All the yoga classes are about 7 days, 9 days, 10 days or 30 days like this. After joining these classes you will feel as you do with your yoga guru because it instructs you how to do yoga in a right way. Using it you can focus on any body part or any type of yoga style because It comprises different styles of yoga like HIIT, Yin, Guided meditation, Restorative, Inside flow and more. It also consists of music for listening at yoga time, so if you go deep with this app, definitely it will be one of the best workout apps for you. The android app is a gym app, this app (women workout) is made only for women or moms for giving them a superfine look to their body. It's really useful app for women to sculpt their bodies. It provides her to workout on all the body parts at which they want to do. It is simple to use and gives a great experience of real yoga. It has over 150 hd videos to instruct you step by step process. Using it women or moms can shape her arms, buttock, legs and belly into 6 packs to look beautiful, loss weights with one of the best fitness apps. Set the time and get your goal related to body. Yoga inspired fitness can be prove to be one of the best health apps for health lovers. It is very useful app for those people who want to look fit, lose weight, burn calories overall it will help you to be healthy. Its all the exercises are very easy and understandable. using it, easily you can strengthen your muscles, balance your mind, get rid of stresses, get a tip top shape and do whatever you want with your body. It contains more than 100 workout videos actually made for fitness lovers. So according to your goal, do the workout to achieve a specific shape of your body. So with this app do at home workouts. Calm app is a powerful app for meditation if you are a beginner. It guides you very well and step by step process. It provides you different types of meditation videos. It is also very useful for advance users if you want to learn extra. It comes happiness, deep sleep, concentration, relaxation and much more. It also includes over 100 sleepy videos, more than 30 nature sounds and also amazing scenes for using it at yoga time. It has various types of programs for 1 or 3 weeks to teach both beginner and advance users. Relax melodies is free mindfulness app with over 50 mediation sounds if you use it its premium version, you get 100 sounds. It's only for white noise, water sounds, meditation music, nature sounds overall relaxing your mind you can easily install it in your phone. You can use this application at time of sleeping as well as morning meditation. According to your wish, you can merge different sounds in one. Create your own music using its individual sounds. Down dog is workout tracker app which is the simplest way to relieve back pain with practice classes. It has different types of voices to instruct you well, so you can select one that you like more. In this app you can also download the video about which you want to learn and you can take it anywhere in your mobile and learn at home, hotel or anywhere you want. The best thing is that it never repeats the same class twice and also includes more levels with perfect matching of music. Don't feel boring and never flow with the repeated classes, so it may be a good fitness app. Keep yoga converts your stress into relaxation and always keep you fit. It provides you all types of benefits related to your body as well as your mind. It consists of more than you want like yoga sessions, meditation courses and multiple asanas. Be calm and relax using this special body fitness app. Everyone can use it either they are beginners or advance users. Learn through the guidance of the real person and only in a few minutes you'll learn how to focus on your mind, breath and body. Simply yoga may be a great yoga instructor for you. It contains more different length of videos with professional guidance, so easily you can learn yoga at your comfortable place. It is made for both men or women. If you really enjoyed its level 1, you can also get its full version with level 2. It is one of the top workout apps for all. It's really nice app for fitness lovers. If you decided to be fit, it will demonstrate you all the things about fitness like a professional boss. Workout anywhere, anytime in your phone or computer. More videos to teach how to do in a right way. It provides you step by step phenomenon that is necessary. Using it you will be able to do all types of yoga related to bodyweight, running, walkng etc. It also has more motivational music which help you to do the yoga with great experience. This app is available in different languages like german, french, english and much more. You can also use it because I consider it as one of the best fitness apps. Nike Training Club is a workout trainer app. It is an amazing app for workouts. It daily recommend you to start a yoga practice with a new video. It comprises more than 150 videos for free, easily learn all types of videos related to different body parts. Fit your abs, legs, arms, shoulders & whatever you want. Everyone knows that there is a lot of social sites and you will probably be unable to reach any type of news or anything else if you don't use it. If we talk about the most popular social site that is facebook and I think that there is hardly any untouched from it. It is the most used app today. It's very easy for all because of simple process to create an account and any person can easily create an facebook account if they have a little knowledge about it. 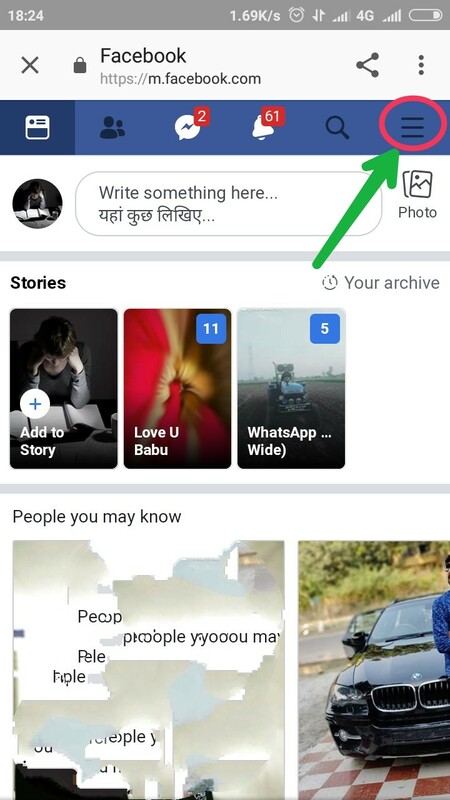 Here you all can share your pics, feelings and whatever you want to say and now you can also add your story like whatsapp status. So it is a complete package of entertainment, awareness and much more. 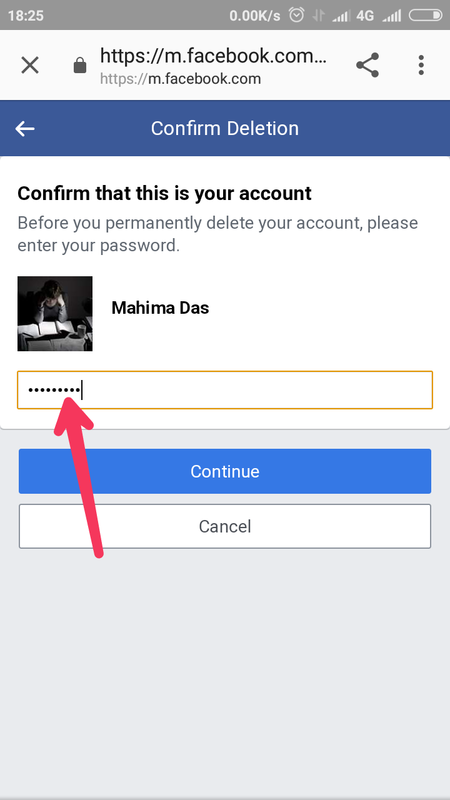 You should have seen also that despite having an account, multiple accounts are used and due to the large number of accounts the confusion goes up and then they just think how to delete facebook account because to create an account is very easy but to delete the account much difficult. I think that some of the people know about to delete the account and most of the people don't know about it so today, I am going to tell you that if you have a lot of accounts and you want to delete some of them then how can you do that. 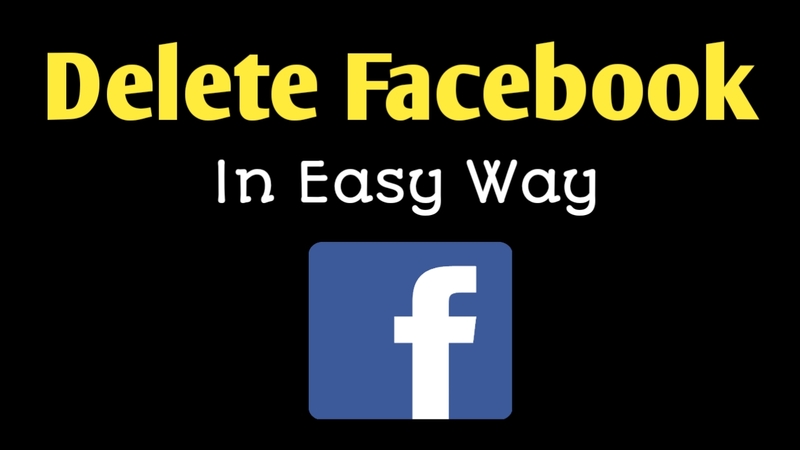 Only you have to follow step by step process to delete or remove facebook account. 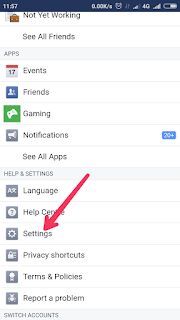 Firstly, I have to inform you there is lot of apps related to facebook like facebook, facebook Lite, Messenger and much more and it confuses which app we have to use to delete the account. So if you are confused, don't worry I will recommend you not to install any type of app but only you have to type on Google 'facebook.com'. 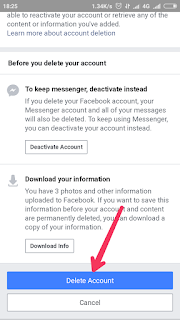 From here easily you can delete your facebook account. As soon you search for facebook.com, you will see an interface as mentioned below. Here, you find all the posts of your facebook friends, you can like, share and easily give reactions on any post according to you. Here you find only your facebook friend's posts not others. This is an option which show you who can be your friend, here you can find friend requests and easily confirm them. Here you can also send friend requests to others whom you want. Without this option you can't send messages to anyone. From here easily you can chat to other but the condition is that messenger app should be installed in your phone. This section is very important in facebook. After clicking on this, you will know about all the things whatever occurs on facebook like if anyone posts, it will notify you and if anyone send you a friend request, also it will mention you in this bar. Search bar is very useful to search friends who are not in your facebook friend list, simply using it you can search new friends and send them a friend request. No 6 option is must important to know and here you have to click. 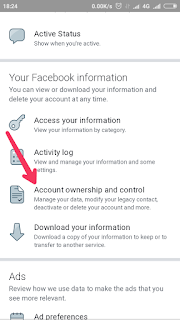 Without it you cannot delete your facebook account so click on it as it is shown below. Now, scroll down you will find 'setting' option click on it. 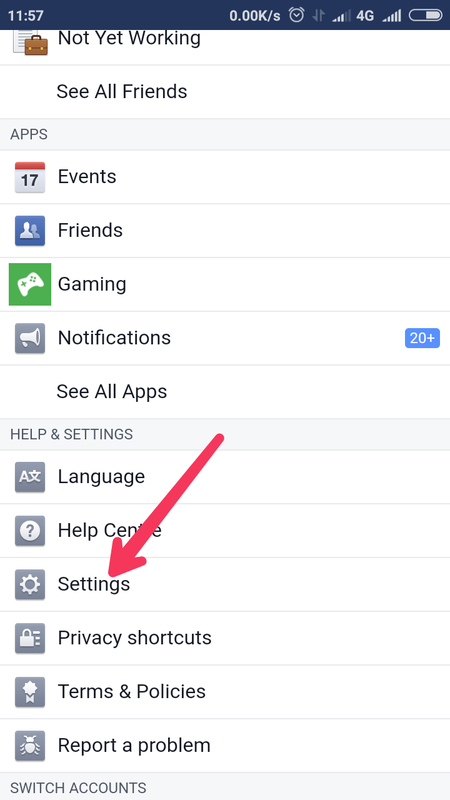 As soon as you click on setting option, you will find extra options but no need to click on any of them just again scroll down and find the option 'Account Ownership And Control' and then click on it. As soon as you click, you will find an interface with three options but you have to click one name is ' Deactivation And Deletion '. Now click on ' Deactivation And Deletion ' and you will find two options. 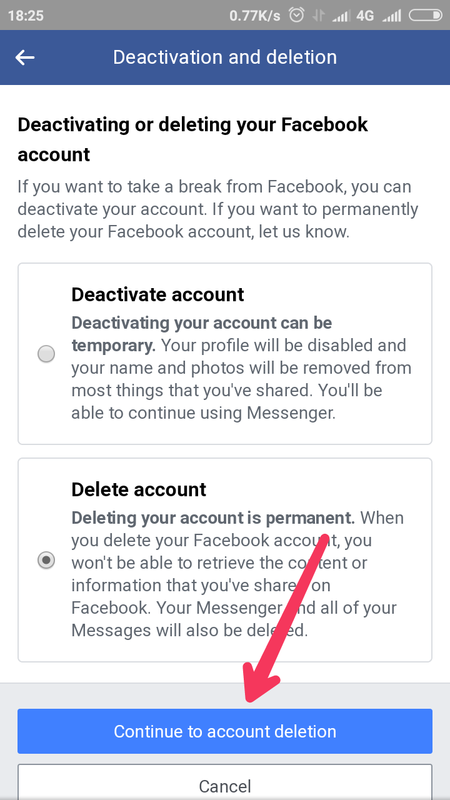 Deactivate option is for those people who don't want to delete their facebook account but only deactivate. 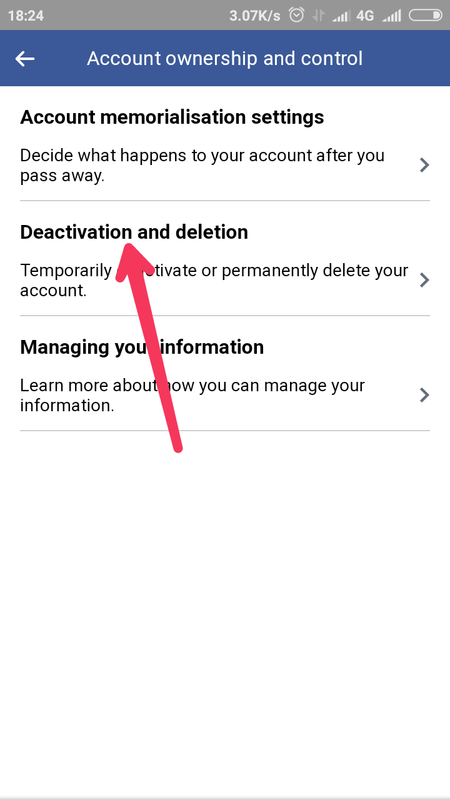 If you select this option, it will only deactivate the account and it will not show on facebook unless you log in once. It means that deactivating any account is not to destroy the account, just by doing so the account is hide. 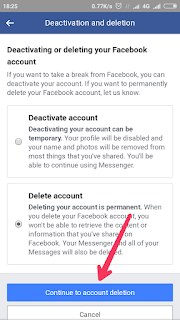 If you are in the mood of permanent deletion, you should choose this option to permanently delete facebook account. 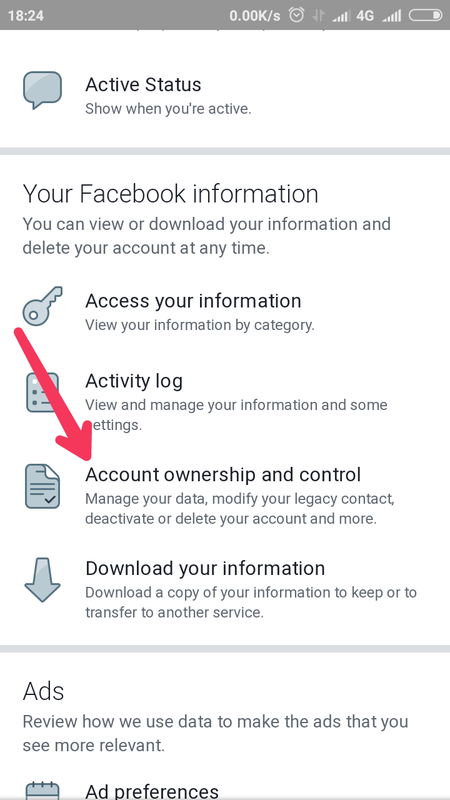 When you delete the account, you won't be able to retrieve the data from facebook that you have shared. 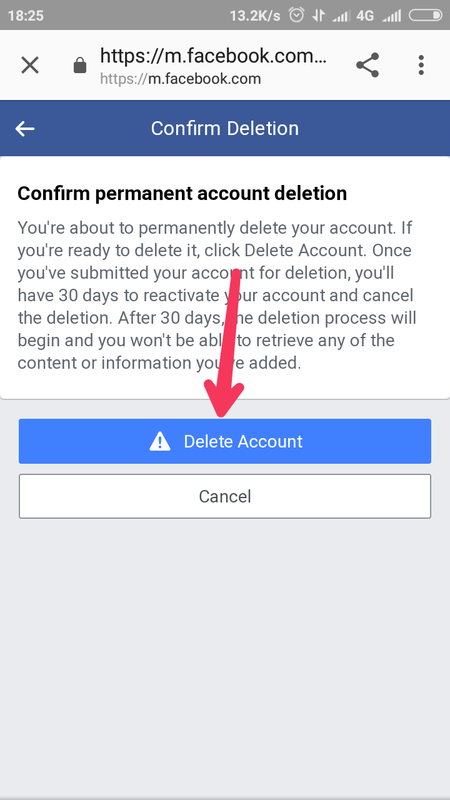 And after this process your facebook account will be deleted permanently if you didn't log in before 30 days. It means you can recover your account from here when you log in within 30 days otherwise it will delete permanently. 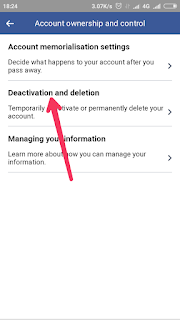 So if you have thought to delete your account just select delete account and continue to account deletion. As soon as you click on 'continue to account deletion', it will open a new interface. Here you have to click delete account. And then, it will confirm the password of the account which you want to delete. Put your password and click continue. 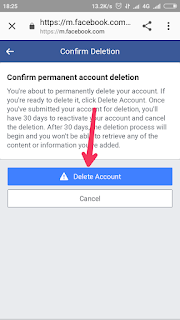 Finally it will tell you that you will be able to recover your account within 30 days and after 30 days it will disappear it means permanently deleted. So just click on 'delete account' and at last your account will be permanently deleted. So I hope this article will be helpful. 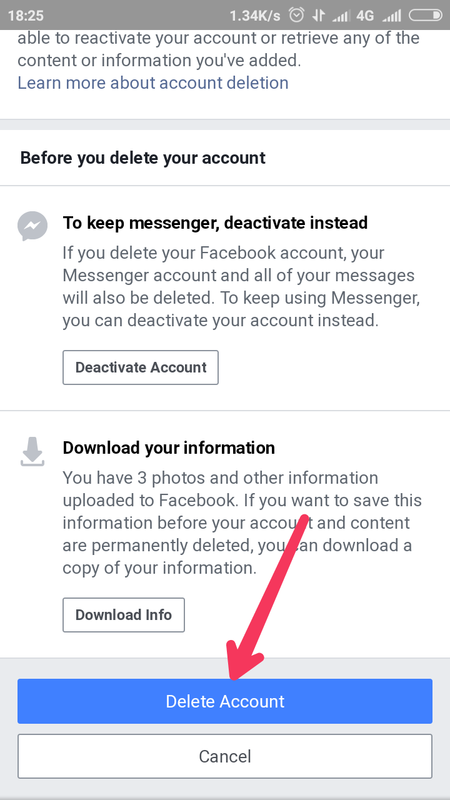 I also use this process to delete my facebook account whenever I need to delete. Gmail Account is a first step to start any online work. Without gmail sign in we cannot start anything online. 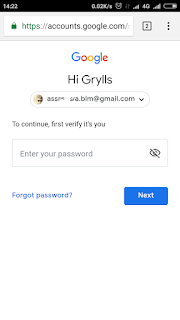 Actually most of the time we like to do online work in comparison to offline work and whenever we start any online work, firstly we need a gmail account because we cannot do anything without gmail account sign up. whether we want to do. And you know how easy it is to create a gmail new account. Whenever we do online work and gradually get success in it, we try to take it to a higher level and think about to start something new in that field. 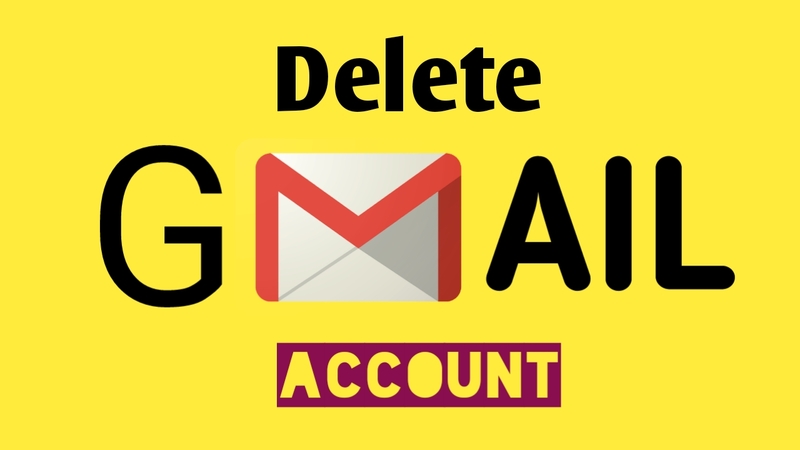 So create many gmail accounts for it but at a time, when we feel that we have some gmail accounts which are not needed, we just think that how to delete them. To Create gmail account is very easy but if we think how to delete gmail account, it becomes complicated because of no knowledge about it. 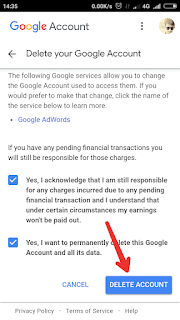 But don't worry I have a solid idea to delete your gmail account permanently only you have to follow step by step process as I mentioned below. Firstly, go on Google and type the website name " myaccount.google.com " or also you can type only ' my account ' when you type only my account you get a page of ' google account ' click on it you will redirect to the website ' myaccount.google.com '. Now you get an interface as mentioned below. 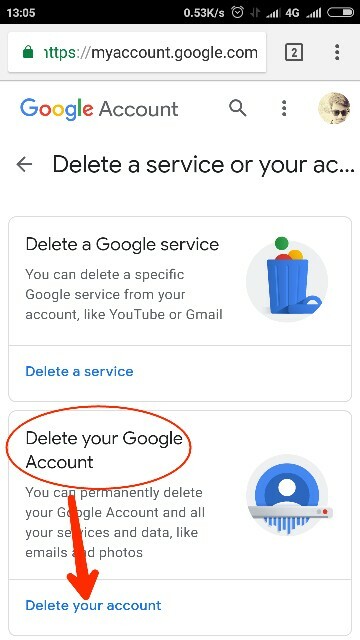 Remember, you can delete gmail account in both ( mobile or desktop ). If you use mobile, I will recommend you to use desktop version in your mobile to understand all the process carefully ( it is not forced ). In this interface you see options like Home, Personal Info, Data Personalization, Security, People & Sharing, Payments & Subscription. Click on the option ' Data Personalization '. As soon as you click on this you have to find ' Delete a service or your account ' option after scrolling down. 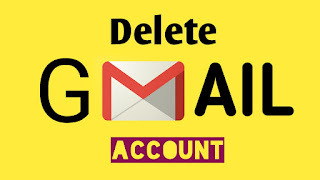 Note - Make sure you are log in with that gmail account which you want to delete otherwise it may delete other one. 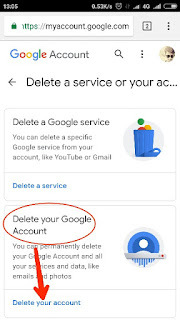 It is a way to delete any google service which you have in your phone like gmail, youtube and other google services. 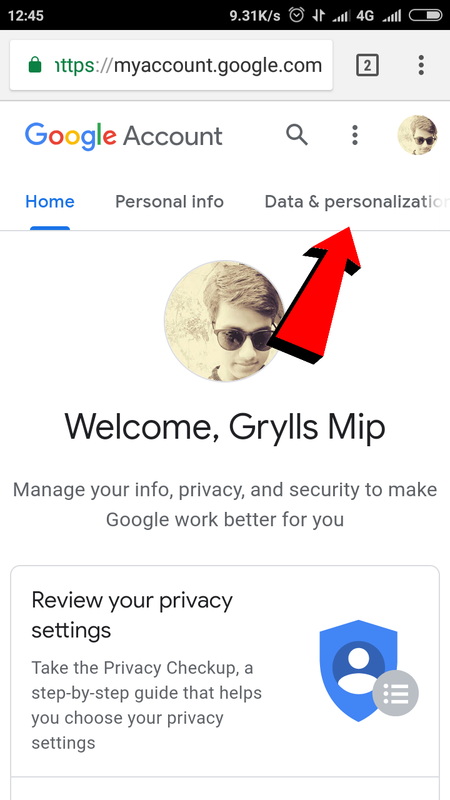 From here you can get all the data in your google account. It is the main part. 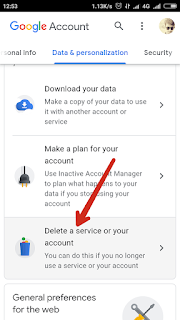 Using this option you can remove gmail account it means permanently delete your gmail account. 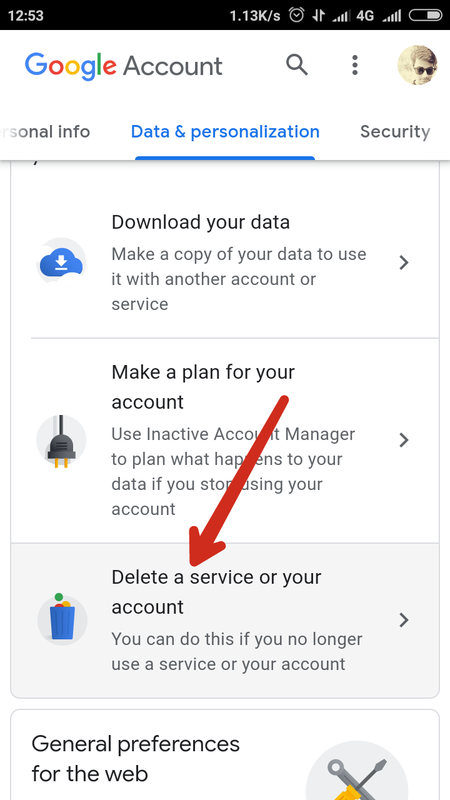 Here, you can decide what will be happen with your data if you are not using your google account. 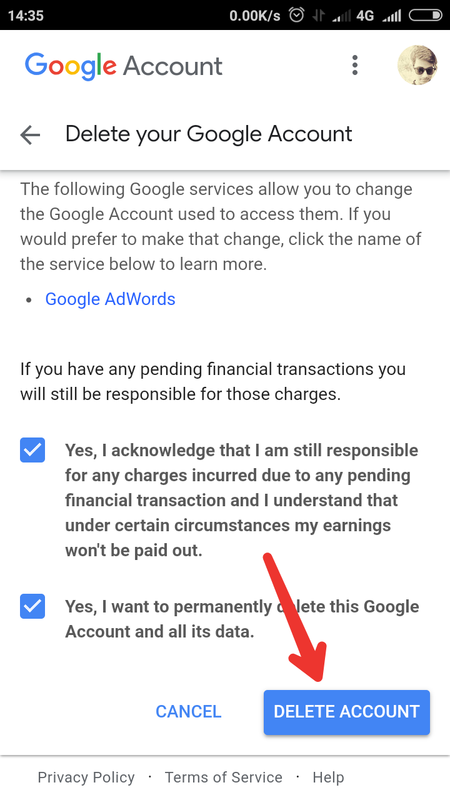 But you have to click on the option no 2 that is Delete Your Google account. 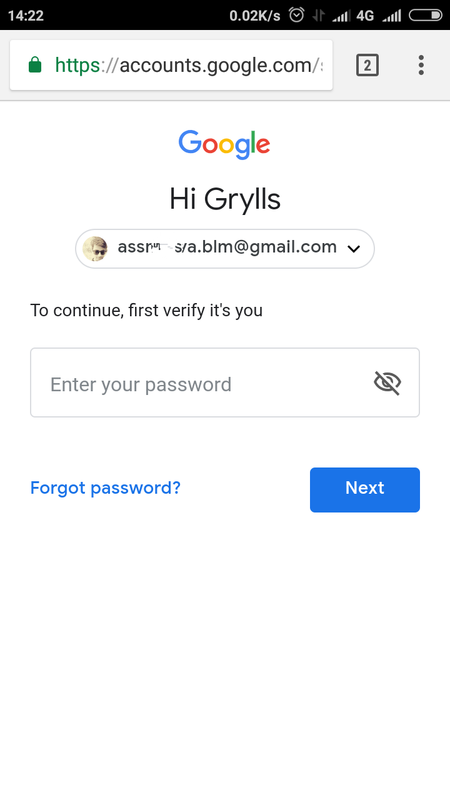 As soon as you click on it It will ask to you the password of that gmail with which you are already logged in or the gmail account which you want to delete. Enter the password and go one step forward and then you have to mark both the box as it is mentioned. And finally click on delete button. Your account will be permanently deleted. I also didn't know how to delete my gmail account but using this process finally I did. So this was the step by step process to delete gmail account. In normal life, everyone is using a smartphone and most of the time of the day they are spending here for their fair use. But most of the people don't know the proper way of using phones because they don't know actually how to use their phones in proper way. Do you know? there are many best productivity aaps on Google play store that can make your phone very useful for you. If these apps are installed in your phone, in fact you will surely find that your phone is really useful for you. With the help of some apps ( Google Keep & IFTTT ) discussed below you can have your daily routine with a sedule and also much more things after downloading the best android productivity apps in your phone. Productivity apps give a right direction of our phones and actually tell howmuch the apps are important in our smartphone. So I will tell you free productivity apps which must be in your smartphone. Google keep is a very smart application & surely it should be in your smartphone. Normally by default more productivity applications are given but here I am talking about ' Notepad ' in which we can write any thing for reminding the work that you want to do next but in comparison to google keep Notepad is nothing because 'google keep' has much extra features. Suppose that you have a lot of forgetfulness and forget anything frequently, you can use this application very easily. Through this application you can note any thing that you forget frequently, you can add audios, images for remembering the next idea. You can change the color of its interface as you wish, pin any note, set reminder and much more amusing features. It has a unique feature that is ' Pin '. Pin feature helps in keeping any note at the top. when you pin any note, the note goes at the top and easily find it. 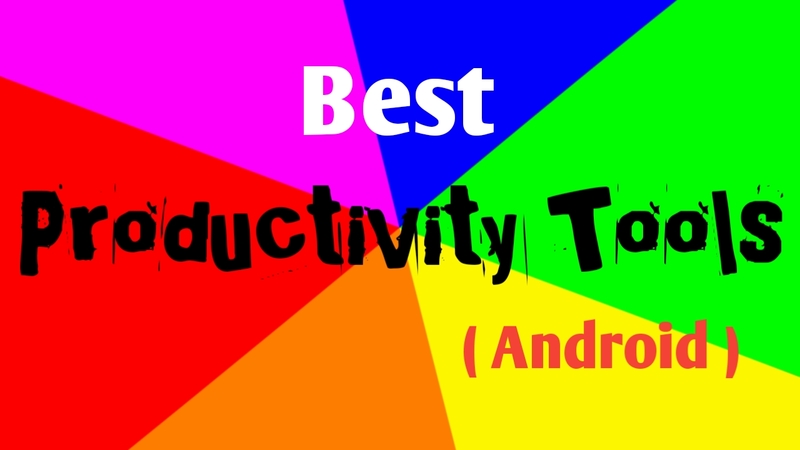 It is very helpful productivity software for android. Quick edit is one of the best apps to increase phoductivity. The app that lets you easily edit any type of html coding. Basically this app is very useful for those people who wanna cutomize websites on mobile, With the help of this app no matter what you want to add to HTML coding even removing it, you can easily manage html coding in mobile. When we create a new website, we have to do several types of work in html like template customization, adsense code adding in html and more. if the people who don't have computers, can easily cutomize html coding using quick edit. So I will say this app is a top productivity app for android. Google Drive is a free productivity app that is found in all mobile phones, but very few people use it. This is an app that can increase the productivity of the mobile. Google drive collects your all types of images, audio files, video files, pdf flies etc using your email address. Suppose that you add any file in google drive, that file will never be deleted no matter how many mobile phones you change. Only remember your email address in which you have added a file. Using it you can easily save images, audios, videos, PDFs from google drive to gallery and also use it for sharing high quality files from one email to another email so you can also do a business of any file through it. It is really one of the best apps for business productivity. IFTTT app is a really very useful for your android, it automatically manages everything which you add in its applets. Its full name ( IFTTT android ) is 'if this then that'. It means that you can do whatever you want to add in its applets with a helpful result, this app makes your work very easy. Well there are so many features mentioned in it and all can be very useful to you, but I am telling you one of them so that you can think of the good features of the app. Suppose that your ring volume is low but as soon as you connect your phone with charger, automatically its ring volume will be high and also when you add any feature, you can get notification through it if you set it 'turn on' mode. Dailyhunt is a best news app, eaisily install it for increasing your phone's productivity. Whenever we have to read news, most of the people use different types of newspapers but now you can read all types of news in your phone using this productivity app. It includes all types of languages like hindi, english, gujrati, punjabi etc. You can select one and easily have yourself update. It also permits to get notification of any news so it is the best news app for android. No need to read any type of newspaper only follow this easier app if you are interested to keep yourself update. Shake Flashlight is a really very useful app, When you go in dark. After installing this app no need to turn on flashlight using your mobile feature just shake your mobile to turn it on. Shake flashlight is the unique app for turning on your flash in seconds. It is very easy to use and has simple interface to use it. So if you wanna to increase your phone's productivity, use it and make the moment surprising. Google Translate is a best translation app. Firstly I would say, Google translate is a large dictionary for all the words exist in english, hindi etc. It is a very good translater for all languages. It is an easy way to write a paragraph in english using hindi typer, it converts hindi to english and vice versa. Similarly, many languages ​​can be converted into other languages ( over 100 languages ). If you are a student so this app should be in your phone compulsory. It solves all the vocabulary problems in seconds. You can use it offline and also as a language translator online. It is a productivity app for students. Sms organizer is a best messaging app that separates all the messages in catagories like personal message, promotional message, transactional message etc. If different types of messages come in your and you face difficulties in searching them, this app helps to find all catagory messages in your mobile. it automatically put all the messages according to their catagories and easily you can find messages that you want. Install it and use it as a best texting app and also enjoy its all the amazing features. Yt studio is a creator studio and a very interesting app for those people who work with youtube videos. Generally for customizing tags, title, description and other features we use Google chrome but it takes too much time. If you wanna customize tags, title, description of your youtube videos easily, I will recommend you to install yt studio that is also called youtube creator. Yr studio is very useful app for youtubers. It is very easy to customize thumbnail, tags, title. But remember, you can use it only when your youtube channel is verified. So yt studio is a best app for youtubers and make your work easy using it. Gaana music is a online music player and also supports offline music. If you are a music lover so it will be the best music app for you. It can play all types of music like hindi, english, punjabi, Tamil, Telugu and others. Using it, you can play songs in a easy way with movie sequence, artist sequence and also listen old or new songs. I think that it has more melodies according to the mood as you want. Suppose that if you play any song and it is liked by you so easily you can download it from here. All things related to music are in this app. Listen your favorite gaana hindi songs here. So finally I would say, this article will be helpful for you and using these apps you can easily increase productivity of your phone.